It’s been a while since I’ve done one of my lizard posts, but I have some great lizards to share with you! 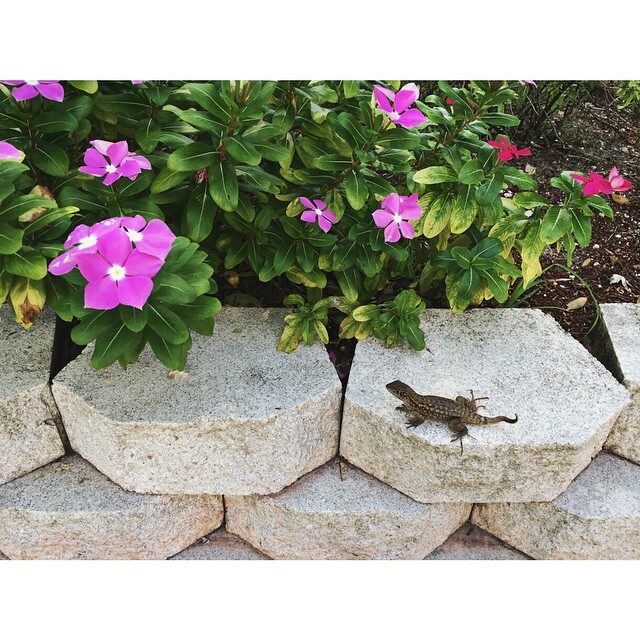 These lizards were spotted at William’s preschool! 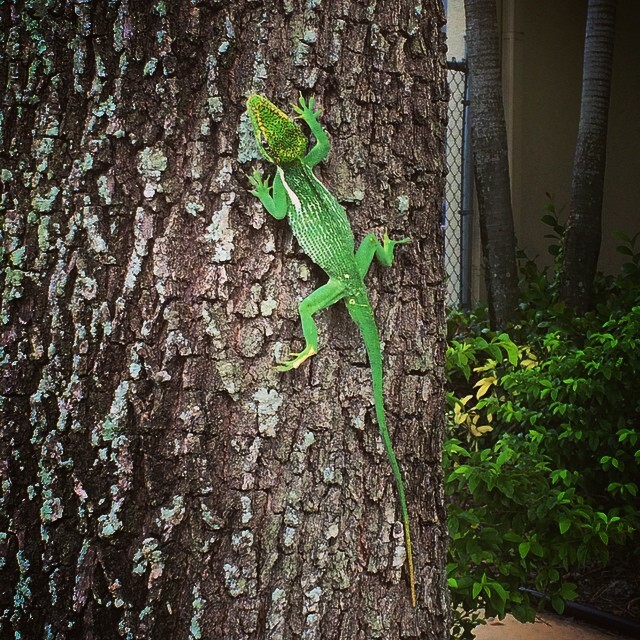 The school is a treasure trove of wonderful and friendly lizards! This huge green Cuban Knight Anole was gorgeous! Here are the best 2 pictures I got of him/her. This little cutie was hanging out near the parking lot! Love how s/he was just chilling and waiting for me to take a portrait! I have seen one of these in my back yard. What kind is it? 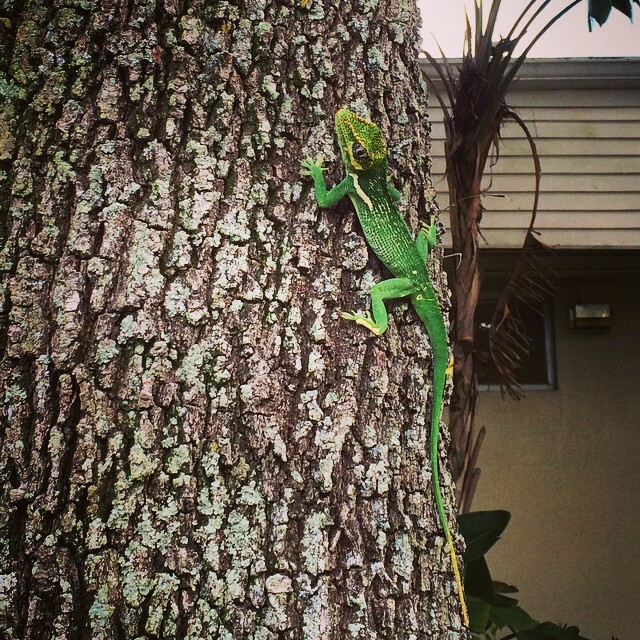 Probably a Cuban Anole lizard! Enjoy them.